White chocolate strawberry centre muffins with unrefined golden caster sugar, butter (unsalted), egg(s) (free range), self-raising white flour, vanilla extract, white chocolate chips, strawberries. To make this white chocolate strawberry centre muffins for 12 persons you will need 20 mins for preparation and 35 mins for baking. Step 1Preheat the oven to 180°C (160°C fan, gas mark 4). Step 2Beat the softened butter and caster sugar together in a mixing bowl until creamy. Step 3Add the eggs and vanilla extract and beat again for 2 or 3 minutes. Step 4Fold in the flour and 85g of the white chocolate chips. Step 5Place the muffin cases into the muffin tins and put approximate 1 tablespoon of mixture into each case. 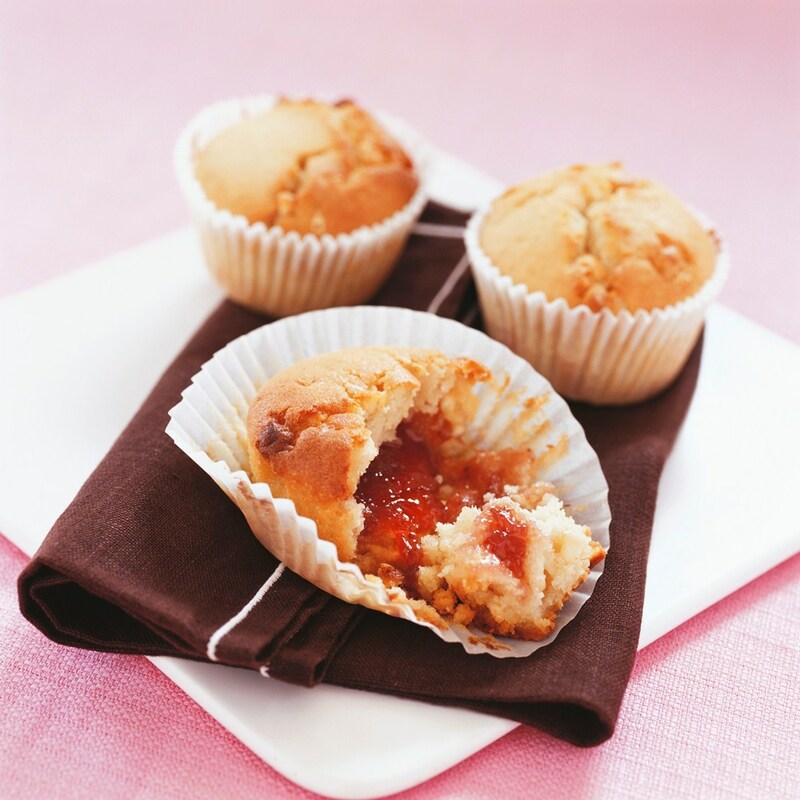 Put one strawberry in the centre of each muffin mix and push it down slightly. During the baking process the strawberries will sink into the cake. Step 6Melt 85g of white chocolate chips in a bowl over a pan of simmering water. Step 7Bake the muffins for approximately 35 minutes or until golden in colour. Allow the cakes to cool and then drizzle melted white chocolate over each one.